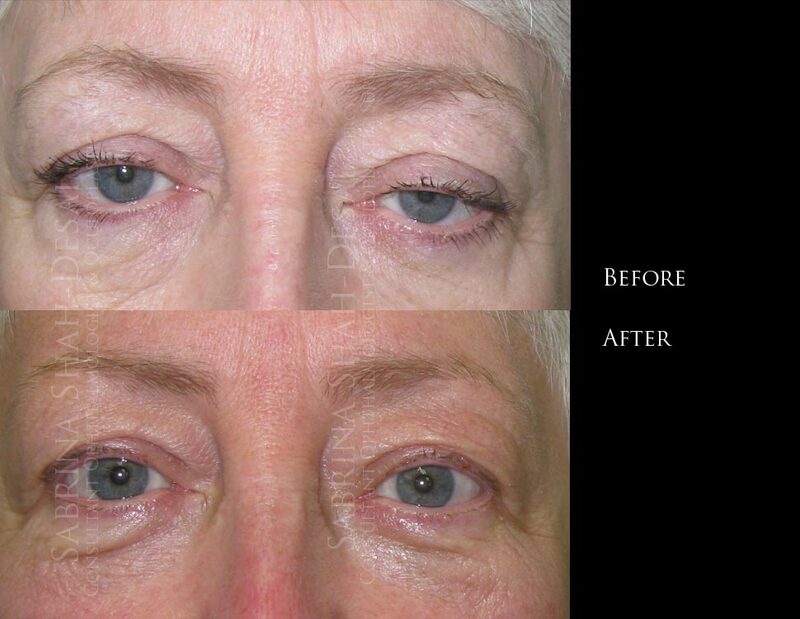 Case study : scarless droopy eyelid (ptosis) repair | Aesthetic Treatments in UK. I am absolutely thrilled with the outcome of my eye surgery. Mrs Shah-Desai did a brilliant job in correcting my ‘droopy eye’. I was a little apprehensive about the procedure but there was really nothing to be worried about. It was painless, with minimal swelling and bruising; three weeks after surgery, even no trace of a scar, amazing!